Heat 10 ml halaal gelatin in 1/4 cup water in the microwave. Stir until all gelatin is dissolve, and set aside to cool off. Whip one tin caramel treat until smooth. Whip 250 ml fresh cream until stiff and add smooth caramel. Add cool gelatine, and mix well. Use ½ packet crushed biscuits (small pieces) and add to the mixture. 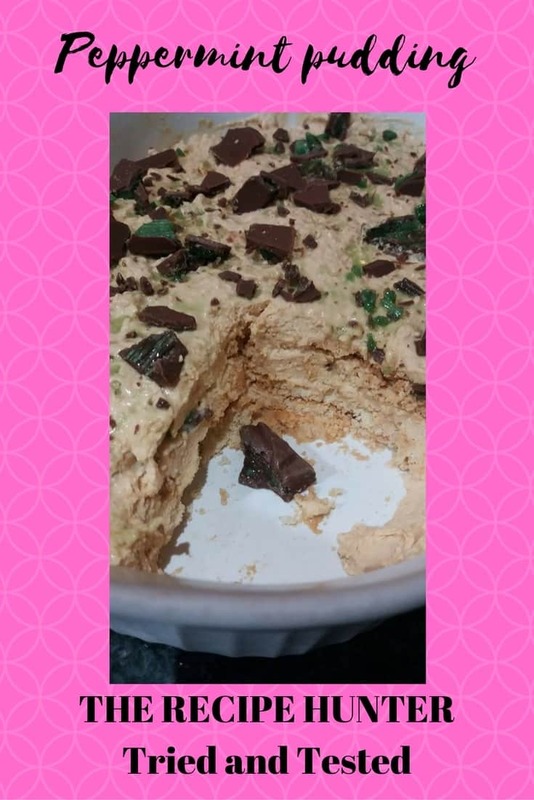 Add crushed peppermint crisp chocolate. Stir and blend all together. Spoon in silicone cupcakes or in a square Pyrex dish and decorate with crushed peppermint before serving.